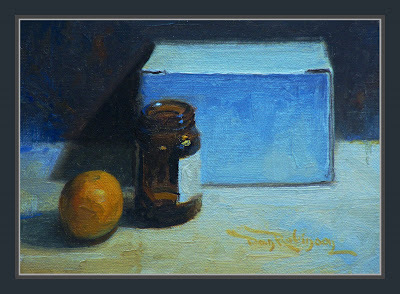 SOLD - Medicine Bottle - I enjoyed the challenge that the brown glass medicine bottle presented to me in this piece. I've been following you for a while now and love your work. The simple abstract compositions are a delight!